Tips to improve your self confidence. Hope everyone is feeling good. I wanted to write a post on some tips to improving your self-confidence and esteem. I've always struggled with being confident in myself for absolutely everything. May it be for a job interview and not feeling like your good enough, leaving the house and not feeling like you look good enough to be seen in public, creating something - for example a blog and thinking it's average, thinking that you're not good enough for someone because of the way you act or look etc. The list can go on and on and I'm not the only person in the world to feel like this. A good while ago for me my self-esteem was pretty bad, all those things I just listed are examples of how I've felt in the past and some I still do to this day struggle with. I wouldn't say I'm fully confident and never say bad things about myself because I do it all the time but why do we do it? 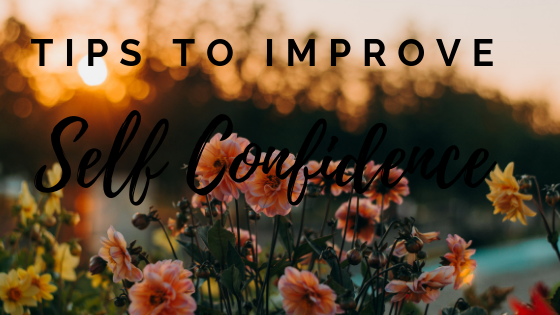 I wanted to include a list of ways you can improve your self-esteem and confidence, I did a lot of research into this before writing this post and it's a good positive for me to read about tips too. ⇨Firstly it's good to think what it is that is affecting your self-esteem that way it'll be easier to help yourself. There could be many reasons to why someone may have a low self-esteem, it could be down to that person being bullied, finding it hard to get a job or loss of a job, having ongoing stress, having a physical illness can make you feel low, or being in a difficult relationship/going through a separation. There's a lot of factors that can bring your confidence down but there's always a way to pick yourself up again. It's good to remind yourself that you have the right to feel good, it can be hard to break bad habits but there are steps that you can take to feel better about yourself even if it is one baby step at a time. ⇨Avoid being negative - this is a massive one. Everyone does this, it could be that you're entering a competition and before you have even participated in it you're saying you won't win. It could be that you've learnt a part of a song on your instrument but you say to yourself that you'll never be able to learn it all. There's so many examples of this and I'm sure you can think of many more yourself. I've woken up before thinking 'this is going to be a bad day' - but why is it? It's not started yet, you'll only know it's going to be a bad day once you experience the day. Learning to identify and challenge your negative self-beliefs can have a positive impact. 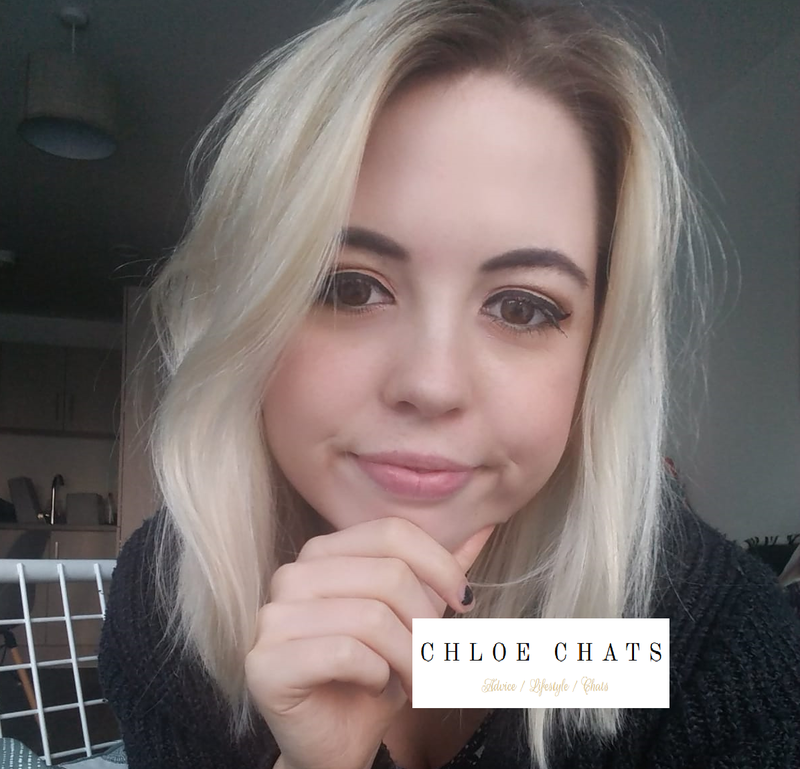 There are also so many self help resources out there that can help with making you think much more positively, often any reading you might find on cognitive behavioural therapy may help you to think about the way you view yourself and get you into the habit of thinking and saying positive things about yourself. ⇨Connecting with people who love you. If you hang around with people that say negative things about you, even if they joke about it constantly it will affect how you feel. If you hang out with those that say good things about you, you're more likely to start believing it yourself even if you don't to start with. It can also help for you to talk to love ones about how you feel because they will point out all the great things about you and make you feel good about yourself. If you don't like yourself it's easy then to think that others won't like you either. Sometimes you might go out of your way to help people but if its not reciprocated it makes you feel worse about yourself. It's good to be nice to others and to help them out but don't over stretch yourself to please others as it leaves you with less energy to focus on yourself, and can have a bad affect on your mental health. Learn to say 'no' - if you don't want to do something then don't, you can't do everything just to make someone happy when you're not looking after yourself and making yourself feel happy. Take control of your own decisions as well, if there's something you want to do but someone else is telling you not to why should you do as they say? Unless it's something stupid but you get what I mean. You'll probably find it hard to break these habits but making small changes to be more assertive will help you get used to it. If you have a hobby you enjoy doing then do more of it. You could join a new class or volunteer for something you are really passionate about. It can be difficult to set goals and challenges especially if you don't feel confident or if you worry about what people may think. But these goals and challenges don't have to be massive, they can be small goals. You could make a challenge of trying to cook a new recipe or learning lyrics to a song you really like, these can still help you feel more positive about yourself. Always remember you don't have to be perfect at something to enjoy yourself. As well as starting a new hobby and joining a new class, it's a good way of meeting new people that you have something in common with. ⇨Focus on your positives and act positive even if you aren't. If you automatically think that you're not good at something this may stop you from doing the things you enjoy or stop you from trying something new. Sometimes if you decide to do something that you're not confident in it's always good to fake it. You know what they say, fake it to make it. If you start thinking positively and confident and say to yourself 'I'm going to be so good at this' you'll probably find that you'll do really well. Why not try to celebrate your successes, no matter if they are really small to you, take time to praise yourself and reflect on what you did well. It's also good to accept compliments from others, you could even write down any compliments you receive and when you're doubting yourself have a look at them. Continuing with noting things down sometimes you can surprise yourself and make yourself feel good by writing a list of what you like about yourself. It doesn't have to just be the way you look, but also your personality and what you like doing/what you're good at. ⇨Take care of yourself, dress nicely, stand tall and smile. Sometimes when you're not feeling confident it helps to really dress up for the day. Who cares if you're not going anywhere special or not even leaving the house at all? Sometimes making yourself look well presented makes you feel good about yourself. Smiling is also a very powerful thing. If you're not feeling confident sometimes if you just plant a smile on your face it can change the way others see you and therefore can help with your confidence. Usually if you have low self-esteem its hard to find motivation to take care of your physical health. You might even feel bad or feel you've let yourself down when you spend time on yourself, but it's so important for your mental well-being. ⇨Get support if things are too much. Lastly but not least, if you are struggling then please do get the support you need. May that be professional support or support from loved ones - there are people out there who want to help. I hope you enjoyed reading this post and remember to look after yourself. Boosting your happiness: Part two.